Images Courtesy of Simerics, Inc.
PumpLinx can also be applied for other fluid devices with rotating/sliding components and/or cavitation . 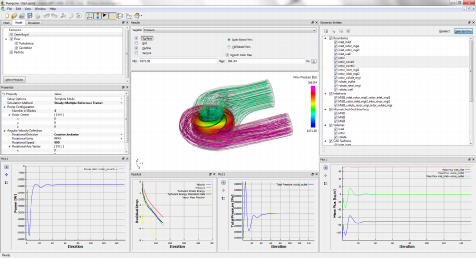 Check out PumpLinx applications at the Simerics Applications Gallery. 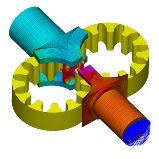 PumpLinx is built on Simerics?s baseline technology to provide a transient 3-D simulation software uniquely suited for the analysis and design of pumps and other fluid devices with rotating or sliding components. 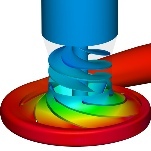 As with the Simerics code, PumpLinx provides rigorous solution of the fundamental laws of conservation of mass, energy, species, and momentum, to provide accurate and physically meaningful simulations for the purpose of research and/or design/process optimisation. True State-of-the-art Numerics: PumpLinx was developed using the latest available numerical techniques and architecture coupled with proprietary Simerics algorithms to create a numerical tool that is significantly faster and more robust than the competition. 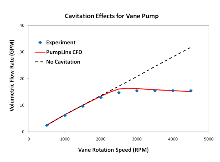 Robust and Accurate Cavitation Model: PumpLinx’s aeration/cavitation model coupled with its numerical strength allow it to accurately and robustly model high volume fractions of vapour and/or non-condensable gas. Fast Turnaround Time: Different Pump configurations, such as for a Gerotor or Vane Pump, are pre-programmed into PumpLinx via the customisation module to make setup time a matter of minutes. 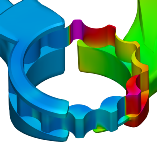 With regard to computational speed, PumpLinx has been found to be typically five times faster than other CFD codes for pump applications. 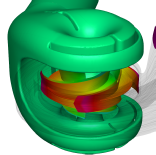 Reliable Results: PumpLinx accurately models the 3-D transient fluid dynamics and vapour and immiscible gases within pumps, motors and other fluid machinery. 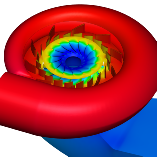 As shown below, the PumpLinx cavitation module has been thoroughly validated against real engineering test cases. 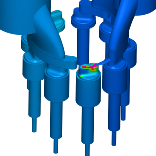 For many applications, this is a critical feature unavailable in other multi-physics software.